Between the marvel of the legendary first-generation Mazda RX-7 and the high-tech wonder that was the last incarnation of the famous nameplate lies an almost forgotten masterpiece: the second-generation RX-7. Why was this car, with its enviable combination of power, refinement and good looks, forgotten? Good question. On paper—not to mention on the street and on the race track—the second-generation RX-7, which was offered from the 1986 model year through 1991, still makes a lot of sense for the budget-minded enthusiast. Despite its obvious appeal, however, the car failed to find a home among gearheads when it was first introduced. Racers, especially, did not embrace the second-generation RX-7 as they had the original version. Perhaps this was due to the newer car’s larger size, high price (at the time) and less than optimal autocross classing, which all combined to make it unsuitable for grassroots venues of the day. The compact car drag explosion had not really happened yet, and drifting was something only rallyists and sprint car drivers did. Today, the second-generation RX-7 is seeing something of a revival. 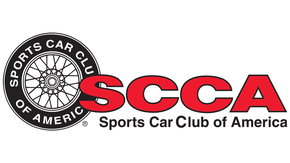 Spurred on by ridiculously low prices and increased popularity in the SCCA’s Improved Touring racing, these cars are a 15-year-old overnight sensation. Before you rush out and buy one, however, there are a few questions to be answered. Which RX-7 should you look for? What goes wrong with them? And how should you modify them for street or race track use? At the end of a rough first decade in the U.S., Mazda finally hit a big-time home run in the spring of 1978 with the introduction of their RX-7. After catering to those who marched to the beat of a different drummer, Mazda finally had a car that the masses wanted. However, this “revolutionary” car was really anything but. Essentially, it was the same 12A rotary engine from Mazda’s RX-3 sedan, mated to a five-speed transmission and live rear axle. 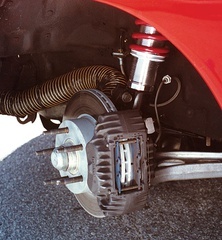 Brakes were disc at the front and drum at the rear; optional rear disc brakes and a limited-slip differential were not offered until 1981 as part of the GSL package. Steering was not even rack and pinion. Still, the RX-7 worked. It looked right, ran well and, in the hands of autocrossers and road racers around the nation, captured many wins and championships. The RX-7 began to redefine the idea of a sports car for the masses. By 1984, the cry was out for more power and more modernization. Mazda answered with the introduction of the RX-7 GSL-SE. This car came equipped with a fuel-injected version of the RX-4’s 13B rotary. Rated at 135 horsepower, this engine had a third more power than the 12A that powered the original RX-7. Thanks to the bigger wheels, more luxurious options and a more complicated induction system, the GSL-SE was more than 200 pounds heavier than its predecessor, so performance was not that startling. Many autocrossers opted to stay with their earlier cars, especially considering the more favorable classing of those 12A-powered RX-7s. The increased size of the second-generation Mazda RX-7 gave passengers more room, while luxury was more prevalent than what was seen in the previous model. Mazda introduced an entirely new RX-7 for the 1986 model year. This second-generation car shared very little with the earlier cars. Gone was the small, distinctive shape that was the first RX-7; in its place was an obvious attempt to move upmarket into Porsche 944 territory. The styling of the second-generation RX-7 was still very clean, but there were many who considered it somewhat bland and unimaginative compared to the original car. There was no doubt, however, that it was much improved in every area. The cover story in the March 1986 issue of this magazine (which was then called Auto-X) compared the new versus old RX-7. In back-to-back autocross testing, we determined that the new RX-7 was faster all around the course. It was also faster in a straight line, with zero-to-60 times in the eight-second range—a full second quicker than the first cars. In addition to the all-new shape and bodywork, there were many other changes to the new RX-7—so many changes, in fact, that this car might more appropriately have carried the now-popular RX-8 moniker. Up front, aluminum replaced steel in the hubs and A-arms, while rack-and-pinion steering finally dispatched the somewhat numb recirculating-ball setup found in the earlier cars. The big news, however, was at the rear. Gone was the live axle of the early cars, and in its place was a very sophisticated—some say too sophisticated—fully independent suspension system, which Mazda dubbed DTSS: Dynamic Tracking Suspension System. Most of the Japanese car builders had become fascinated with four-wheel steering in the mid-’80s, and DTSS was essentially Mazda’s attempt at a passive setup. This system featured a tri-axial floating hub and an extra link that reduced the toe-out common to semi-trailing arm rear suspensions. Interestingly, the system was only designed to come into play above .4g of cornering force. In practice, this meant it was fine for the street, but would make for some pretty scary handling on a race track. Four-wheel-disc brakes were now standard on the car, while the GXL and sport model cars came with four-piston, finned-alloy calipers. The new RX-7’s engine was also different, even compared to the 13B-powered 1984-’85 GSL-SE. Horsepower was up to 146 at 6500 rpm thanks to improved fuel injection and lighter engine rotors. Other parts of the engine were also updated, including the mounts and the actual rotor housings themselves. In effect, the 1986 engine was pretty much totally new. 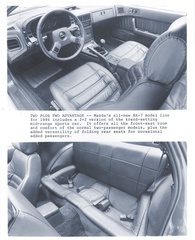 The interior was also completely redesigned and shared very little with the earlier cars. The car was introduced in base trim, as well as a more upscale GXL model. The GXL was equipped with the aforementioned better brakes, plus more luxurious appointments. GXL cars were also fitted with 15-inch wheels (versus the 14-inch wheels on base models) and 205/60R15 tires. The sports package available on either model featured the larger tire size as well as stiffer springs and shocks. Another option was 2+2 seating, although these back seats were a token. The standard storage bins that were offered instead of rear seats were probably more valuable. To make a good thing even better, Mazda pressurized the 13B rotary in the Turbo models, adding about 50 horsepower and 40 lb.-ft. of torque to the already quick RX-7. Shortly after the new car was introduced in the winter of 1986, Mazda blew everyone away with the announcement of a turbo version, which was set to be introduced as a 1987 model. This package turned the new RX-7 from a very competent sports car into a bona fide supercar. Mazda called the car the Turbo, although the engine carried the Turbo II designation. This was the first turbocharged rotary engine offered by Mazda in U.S., though the company had offered a turbocharged 12A earlier in Japan. Horsepower was up to 182 with the Hitachi HT18-2S turbo, despite boost being restricted to 5 to 6 psi depending on rpm. 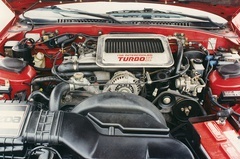 The Turbo was also equipped with a beefier five-speed transmission (automatic was not offered) and a stronger rear end. The only other real news for 1987 was the option of anti-lock brakes on GXL and Turbo models. 1988 saw the introduction of the convertible version in non-turbo form only. Although slick and good-looking, this conversion added some 255 pounds to the RX-7, thus turning the convertible into a boulevard machine. 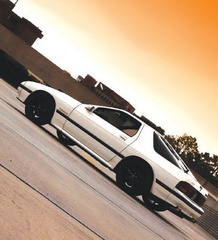 Also introduced in 1988 was the GTU version of the RX-7. The GTU was the sports version, named to honor Mazda’s wins in IMSA’s GTU category. This model came with 15x6-inch alloy wheels (as did the GXL), a limited-slip differential, sport suspension, a body kit, body-colored door mirrors and sports seats. The SE name (which indicated a base model) was debuted as well, while the GXL remained the luxury version with all the toys like power windows, cruise control and sunroof. Major changes came in 1989 with the introduction of another new model and some technical changes. The GTU became the base model, while the new GTUs became essentially a Turbo version without the turbocharger. This no-nonsense machine had the suspension and all the performance goodies without all the luxuries that added weight. It even had a 4.30:1 rear end (a 4.10:1 unit was standard). Other than us, however, apparently not many people thought this model was a cool idea, as only about 100 were built. Higher compression, lighter rotors and revised intake manifolds boosted horsepower in both normally aspirated (160 horsepower, up from 146) and turbo forms (200 horsepower, up from 182) for 1989. The Turbo version also had a revised turbocharger. The following year saw no real changes, except the convertible received an airbag. 1991 was the last year for these great cars, and the model lineup was simplified to coupe, convertible and Turbo. All the cars were extensively optioned, so there was no more base model. The oldest second-gen RX-7s are now closing in on the 20-year mark, and none of them are getting any newer; fortunately, the model doesn’t have too many problem areas. Although rust is not a significant problem for these cars, they do have some vulnerable spots. If the rear hatch drain holes get plugged, the rear hatch area gets rusty pretty quickly. Also, the cars tend to rust around the door jambs, so check these carefully. The front subframes are very difficult to get straight once they have been damaged in an accident. Also, the nose cone (roughly $800) and rear taillights can be expensive to replace, so check these pieces carefully. The much-maligned rotary engine really was nearly bulletproof by the mid-’80s, and a well-cared-for engine is good for 200,000 miles. The key here is to find that well-cared-for engine. As with most cars, oil changes need to be performed regularly. Overheating the rotary engine is to be strictly avoided, and allowing the turbocharger to cool before the engine is turned off can help extend the turbo’s life. Look for evidence of this type of sympathetic care when seeking out a car to buy. The car’s real Achilles’ heel is the eccentric shaft bypass valve. This valve lubricates the oil seals and O-rings, but only after the engine heats up. If it fails, it’s not apparent until the engine starts to smoke, and by then it is too late. Most premature engine failures can be attributed to either this problem, overheating or abuse. The solution is to replace the eccentric shaft bypass valve as a matter of course every 75,000 miles or so. Tri-Point Engineering highly recommends this service and charges $235 for parts and labor. While the rotary engine is somewhat uncommon, several shops specialize in rebuilds. For the do-it-yourselfer, Racing Beat’s catalog offers complete rebuild kits containing all of the necessary gaskets, seals, O-rings, springs and so forth. Most of the kits for the second-gen RX-7’s rotary engine cost around $1000. Complete engines are available as well. A complete, Improved Touring-ready engine from ISC Racing Services, for example, carries a $3500 price tag. This is a unit built to the favorable 1989 specifications. Most tuners agree that for the street or local autocross competition, very little needs to be done to these cars. Mazda did a good job with the basic chassis and engine setup, meaning there are few problem areas to overcome. Although any internal combustion engine is little more than a large air pump, this is especially true of the rotary engine. Open up each end and magical things start to happen. Thanks to electronic fuel injection on the intake side of things, the easiest thing to do is change to a performance chip. Companies such as GReddy and HKS have made these chips for years, and Carl Sloan of SAS Racing has introduced one that he claims adds 30 horsepower and 46 ft.-lbs. of torque on the dyno. Some rotary experts do caution, however, that aftermarket chips do not always perform as advertised on these engines. Choosing the right exhaust system for a rotary engine is crucial. Whereas exhaust changes can make a five to 10 horsepower difference on a piston-engined street car, it is not uncommon for such a modification to yield a 30-horsepower improvement on a rotary-powered car. High-flow catalytic converters help, as do enlarging and tuning the exhaust. For better torque, the experts recommend running two long, straight pipes as far back as possible. For maximum top-end performance, add a crossover pipe to the system. Be aware that rotaries are insanely loud and exhaust temperatures should be in the 1600- to 1800-degree area, so play it safe when messing with the exhaust. Most of the companies that cater to the RX-7 sell a street exhaust for these cars. In the area of handling, all the experts agree that the factory three-position shock absorbers are the weak link on these cars. A good quality setup (preferably adjustable coil-over) is a must for these cars. Mark Shuler of Tri-Point Engineering recommends Konis, while SpeedSource is a fan of Dynamic Suspension. A common mistake is to slap big tires and wheels on these cars. The engines are designed to work best in the 6000 to 7200 rpm range, so the 4.10:1 or 4.30:1 gear ratios that came with these cars, combined with the original-equipment 205/60R15 tires, is a pretty good setup. If huge tires are still part of the plan, Tri-Point can help, as they offer fiberglass fender flares that will cover a 17x12-inch wheel. When choosing a car, the early non-turbo models are more desirable than the later ones. If you are looking for a Turbo car, go for a later model: The one to have is the 1989-and-up twin-scroll turbo car. In addition to featuring 18 more horsepower, the revised intake manifold and turbocharger system makes for a more drivable and reliable car. A notable exception to the above rule is the GTUs. Although very few were built, Mark Shuler of Tri-Point feels that this would be the ultimate non-turbo second-generation car to own thanks to its light weight, Turbo-spec chassis and later high-compression engine. The RX-7 name has been missing from the mainstream’s consciousness for some time now, but the car is still loved by enthusiasts. Fortunately, Mazda built a ton of second-generation cars, so they’re out there. A recent nationwide check of AutoTrader.com yielded more than 300 cars for sale, with prices topping out just north of $10,000 for either V8-powered hotrods or creampuff convertibles. Most of the decent cars are in the $2500 to $6000 bracket, although there’s no shortage of projects starting in the $1000 range. As expected, later Turbos and convertibles seem to command more money. The second-generation RX-7 is well designed, great looking, somewhat practical and offers the enthusiast a great platform for a fun street toy or a really competitive race car. No wonder it’s still finding fans today. A well-fabricated cage is a must in order to compensate for the large door openings and weak roof. 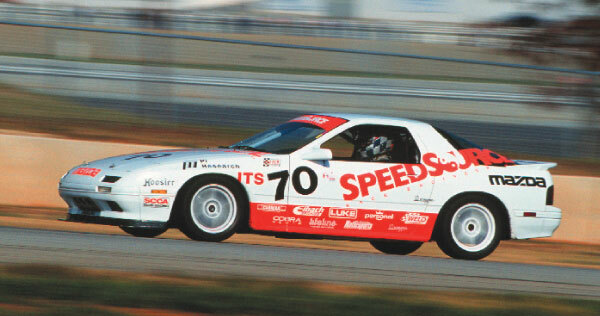 During the late 1990s, the RX-7 became the chassis to beat in SCCA Improved Touring racing. At the season-ending American Road Race of Champions, the No. 70 ITS-class car of SpeedSource’s Sylvain Tremblay and David Haskell became the scourge of the class, taking the championship in 1998 and 1999. The BMW 325i has since become the dominant chassis at this event, although the RX-7 continues to do well at local and divisional events. In fact, Buzz Marcus recently set a new track record for Sebring International Raceway’s Short Course en route to a win in a SpeedSource-prepared RX-7. While SpeedSource has expanded their focus to include Grand-Am Daytona Prototypes as well as the new RX-8, they still prepare and service the second-generation RX-7. Shop owner Sylvain Tremblay shared some of his secrets with us. Picking the Right Car: Tremblay’s first tip is to start with the right car, ideally a 1989-and-up GXL model. While this model is a little heavier than the earlier cars, the weight penalty is only about 30 pounds once the motorized seat belts have been removed. On the plus side, the 1989-and-up car already features the five-lug hubs, four-piston front calipers, vented rear rotors, better electrical system and high-compression engine. He would advise a non-power-steering car, since these examples are some 25 pounds lighter. Look for crank, not power, windows (five to six pounds saved per door) and no sunroof (which comes with headroom problems and 22 pounds way up high, where you don’t want it). Cage Design: The RX-7 has immense door openings, which weaken structural rigidity. The front end of the car is strong, however, thanks to the front subframe. Design the cage to stiffen the unibody around the massive door opening. Use two door bars, and tie everything to the side rails, not the floor. Make sure you go to the boxed rocker panels, and for extra safety, get as close to the roof as you can because it’s quite thin. Suspension: Tremblay advises against the stock RX-7 shock absorbers or any standard aftermarket items for the car, in the belief that the lesser pieces will not hold up to the rigors of Improved Touring road racing. These inexpensive pieces also cannot handle the higher required spring rates and tend to overheat. When the shock absorbers get hot, the handling will just fade away. Tremblay recommends and runs custom shock absorbers from Dynamic Suspension. Spring rates should be in the 300 to 400 lbs./in. rate up front and 200 to 275 lbs./in. rate at the rear. Naturally, this depends on driver size and preference. For anti-roll bars, the shop uses their own custom units. Much like the bars seen in Trans-Am and NASCAR racing, these pieces feature a three-piece design that centers around a big torsion bar. SpeedSource claims that this style of bar offers more consistency and, as they are hollow, lighter weight. The shop sells a .250-wall bar with spherical bearing ends for about $375. 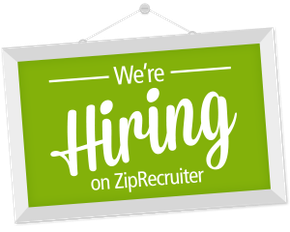 This is used for about 90 percent of all applications. Thinner wall bars are also available. Top-mounted camber plates are also a necessity on an RX-7, as they allow more wheel travel as well as favorable alignment settings. Another trick SpeedSource has designed is a camber link that tilts the entire rear suspension upward. This negates the added negative camber that lowering springs create. The shop likes to eliminate the rear steer designed into the Mazda RX-7 rear suspension with special toe control bushings that they have created. The four-wheel-steering system designed into an RX-7 has its good points, but in a racing situation it can be difficult to control. The result is dicey handling. 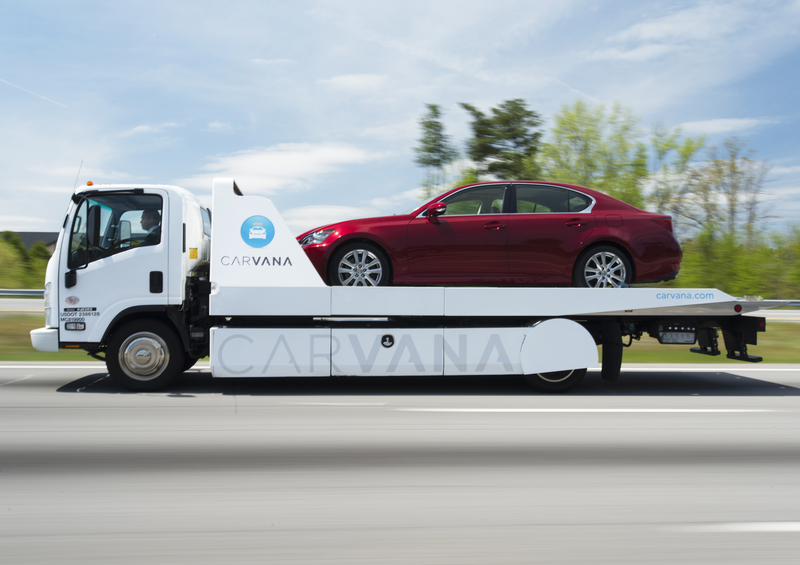 Disabling the system restores predictable handling to these cars. There are a couple of other tricks to better the RX-7 rear suspension. First, Tremblay takes special care in inspecting the control link—or dog bone, as it more commonly known. This is the rear control arm inboard mount, and these pieces tend to wear out and/or rust, thus causing weird handling characteristics. This part needs to be in tiptop shape for one of these cars to work right. Another area to improve is the rear shock absorber top mount. The top rubber piece can be burned out with a torch; then weld the stopper back onto the mounting plate. This takes play out of the rear. Remember to reset the springs after jacking up the car. Tremblay recommends no rear anti-roll bar except on very tight tracks, where the factory rear bar can be retained. Brakes: Don’t split the brake calipers, because they never seem to properly go back together. However, the crossover passages need to be cleaned for peak performance. The shop recommends Motul brake fluid and Hawk Blue pads all the way around for racing. A lever-style brake proportioning valve is also advised. Knob types are too confusing to use when racing, says Tremblay. Cooling System: Rotaries do not tolerate overheating, not even a little. 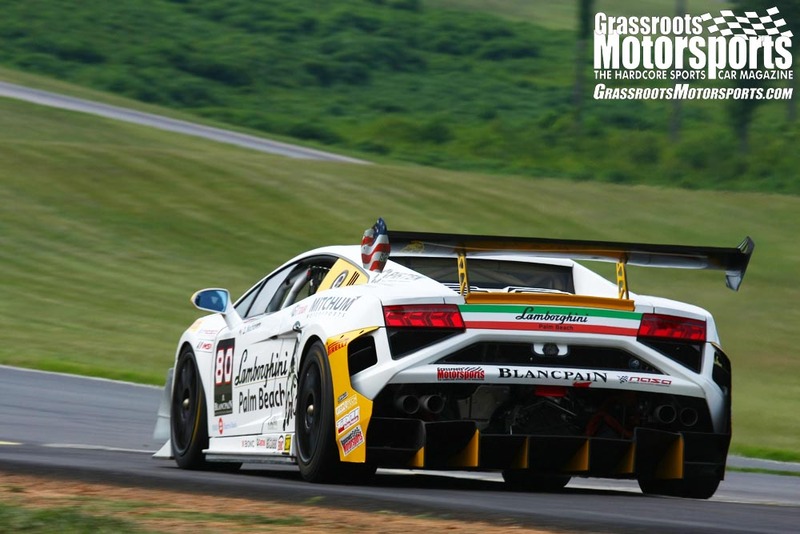 SpeedSource offers special Griffin aluminum cross-flow radiators for these cars. SpeedSource also runs a custom oil cooler with high-pressure hoses. To minimize the pressure differential, they suggest running the coolers in parallel, not in series. Exhaust: Much of a rotary’s power is made by improving the exhaust. The collector design, size and location directly affect torque, throttle response and top end. SpeedSource sells an exhaust system that maximizes power for IT racing. Tires and Wheels: The shop runs a 225/45ZR15 Hoosier radial on a 15x7-inch wheel, the maximum size allowed under the class rules. The SpeedSource RX-7s use wheels with five inches of back spacing. Tremblay believes that a racer needs six strong, relatively inexpensive wheels for enduro racing and four super-light but perhaps not as durable wheels for sprint racing and qualifying. They use wheels from Volk Racing. Engine: Last, but not least, comes the engine. IT rules do not allow much engine modification, so the shop carefully balances engine parts to the lightest piece. Oil pressure needs to kept to about 95 to 100 psi. A good rule of thumb for rotaries is to have 10 psi for every 1000 rpm run. The stock computer shuts down the engine at 7700 rpm, but the stock engine stops making power at 7500 rpm anyway. The optimum exhaust temperature for a rotary is about 1650 degrees Fahrenheit.